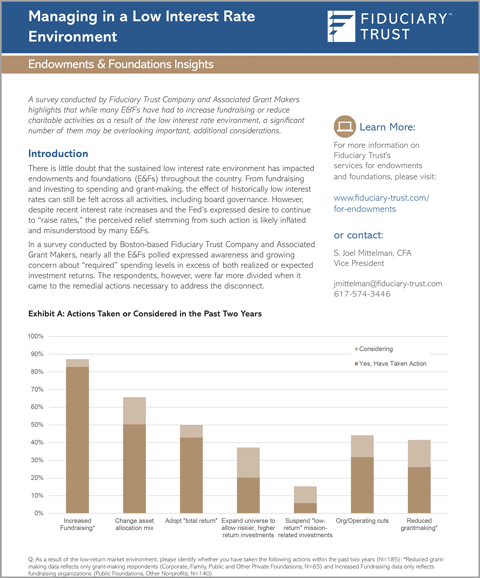 A survey conducted by Fiduciary Trust Company and Associated Grant Makers highlights that while many Endowments & Foundations (E&Fs) have had to increase fundraising or reduce charitable activities as a result of the low interest rate environment, a significant number of them may be overlooking important, additional considerations. Fiduciary Trust Company is a wealth and investment management firm serving families, non-profits and third-party advisors. We take a personal approach based on expertise, strong performance and a genuine commitment to act in our clients’ best interests. Our unique, private ownership and unconflicted investment approach align our interests with clients' and provide the stability and permanence our clients seek. 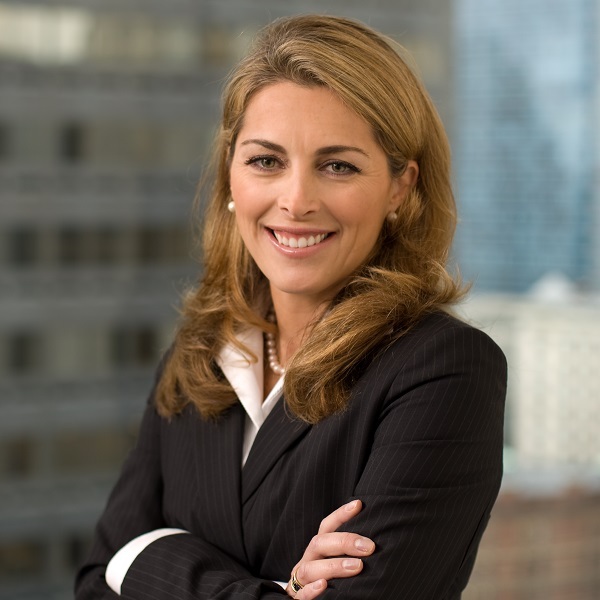 Stacy K. Mullaney is the Chief Fiduciary Officer at Fiduciary Trust. In this role, she is responsible for ensuring the firm achieves the highest fiduciary standards in serving our clients. In doing so, she applies her legal expertise, tax planning and estate administration capabilities to implement client goals and objectives. Stacy is co-chair of the Boston Bar Association's Trust Administration Committee and is a frequent speaker and author in the industry. She has over 20 years of legal experience and is a graduate of Stanford Law School. S. Joel Mittelman, CFA is a leader of the Endowment & Foundations practice at Fiduciary Trust, helping non-profits and families to effectively manage their investments to help them achieve their philanthropic goals. 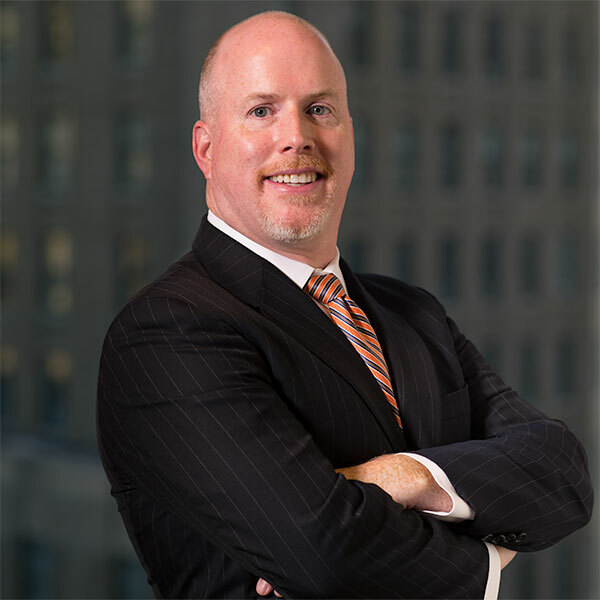 He has over two decades of institutional experience and has previously worked at The Boston Company, Wellington, Deloitte and McKinsey. He has a BS in Business Administration from the University of New Hampshire and an MBA from Carnegie Mellon.